You can use Azure PowerShell to create an application gateway with a certificate for SSL termination that uses a virtual machine scale set for backend servers. In this example, the scale set contains two virtual machine instances that are added to the default backend pool of the application gateway. This tutorial requires the Azure PowerShell module version 1.0.0 or later. Run Get-Module -ListAvailable Az to find the version. If you need to upgrade, see Install Azure PowerShell module. If you are running PowerShell locally, you also need to run Connect-AzAccount to create a connection with Azure. For production use, you should import a valid certificate signed by trusted provider. 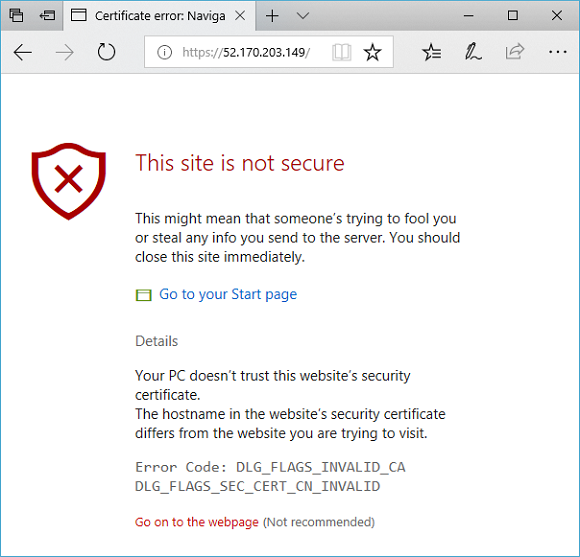 For this tutorial, you create a self-signed certificate using New-SelfSignedCertificate. You can use Export-PfxCertificate with the Thumbprint that was returned to export a pfx file from the certificate. A resource group is a logical container into which Azure resources are deployed and managed. Create an Azure resource group named myResourceGroupAG with New-AzResourceGroup. Configure the subnets named myBackendSubnet and myAGSubnet using New-AzVirtualNetworkSubnetConfig. Create the virtual network named myVNet using New-AzVirtualNetwork with the subnet configurations. And finally, create the public IP address named myAGPublicIPAddress using New-AzPublicIpAddress. These resources are used to provide network connectivity to the application gateway and its associated resources. Associate myAGSubnet that you previously created to the application gateway using New-AzApplicationGatewayIPConfiguration. Assign myAGPublicIPAddress to the application gateway using New-AzApplicationGatewayFrontendIPConfig. Create the backend pool named appGatewayBackendPool for the application gateway using New-AzApplicationGatewayBackendAddressPool. Configure the settings for the backend pool using New-AzApplicationGatewayBackendHttpSettings. A listener is required to enable the application gateway to route traffic appropriately to the backend pool. In this example, you create a basic listener that listens for HTTPS traffic at the root URL. Create a certificate object using New-AzApplicationGatewaySslCertificate and then create a listener named mydefaultListener using New-AzApplicationGatewayHttpListener with the frontend configuration, frontend port, and certificate that you previously created. A rule is required for the listener to know which backend pool to use for incoming traffic. Create a basic rule named rule1 using New-AzApplicationGatewayRequestRoutingRule. Now that you created the necessary supporting resources, specify parameters for the application gateway named myAppGateway using New-AzApplicationGatewaySku, and then create it using New-AzApplicationGateway with the certificate. In this example, you create a virtual machine scale set to provide servers for the backend pool in the application gateway. You assign the scale set to the backend pool when you configure the IP settings. You can use Get-AzPublicIPAddress to get the public IP address of the application gateway. Copy the public IP address, and then paste it into the address bar of your browser. To learn more about application gateways and their associated resources, continue to the how-to articles.